We take our phones with us everywhere. From the restroom to the office, to the kitchen to happy hour after work, your phone is there for it all. On top of that, we use the same hands that we hold our phones with to touch door handles, shake hands, flush toilets… the list goes on and on. Despite washing our hands throughout the day, the moment we touch our phones again, we’re reintroduced to those yucky germs that are hanging out there. And we really like to touch our phones – a recent Asurion survey* polled 2,000 Americans and learned that the average person touches their phone once every 12 minutes. Unfortunately, flu season is upon us once again, and germs are big fans of our hands (germs particularly liked them last year, when the flu season was one of the worst in a decade). Sure, your first line of defense is to wash your hands with soap and water, but did you know that germs can live on any surface for two hours or more? 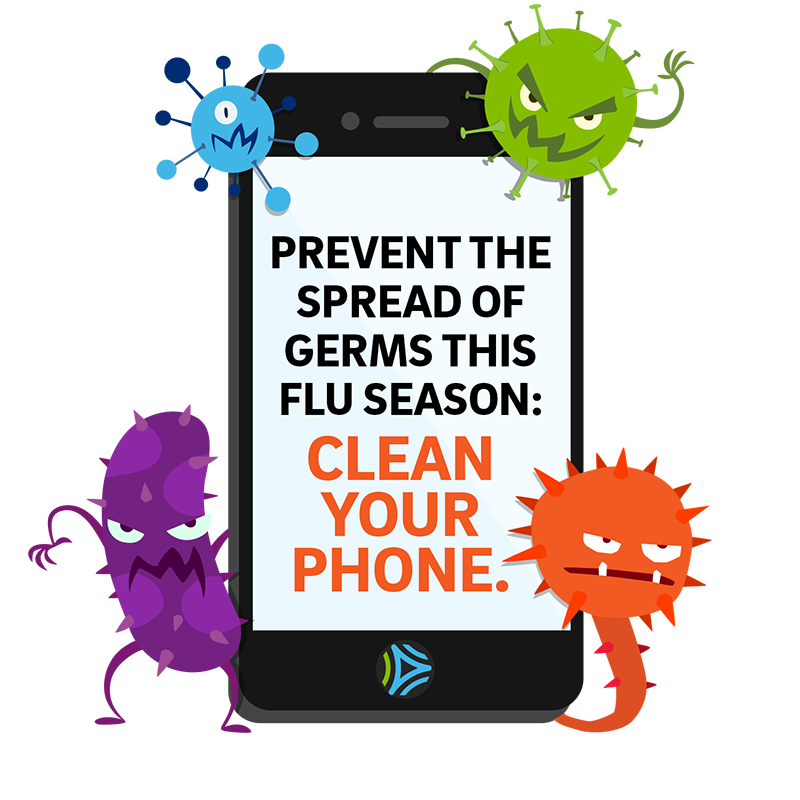 Don’t let your phone be a bacteria-spreading culprit – check out these tips from our team of tech experts on how to safely disinfect your tech. As a safety precaution, turn your phone or tablet off before cleaning. Use a microfiber cloth with a cleaning solution (suggested: 50/50 water and alcohol). Spray the cloth, not the device. Steer clear of cleaning wipes. Depending on the ingredients they could damage the external coating or the internal makeup. How often should you clean your devices? The easy answer is clean your technology regularly. How often is regularly? Well, that depends. Where do you use your device? If you’re one of the many that take your phone into the restroom, you should wipe it down more often than someone who does not. If you tend to eat while scrolling through your device, a daily wipe down with a microfiber cloth would be a good idea. A simple solution would be to wash your hands before you eat and not touch your device during meals. However, if that’s not an option for you, the more you clean it, the better. 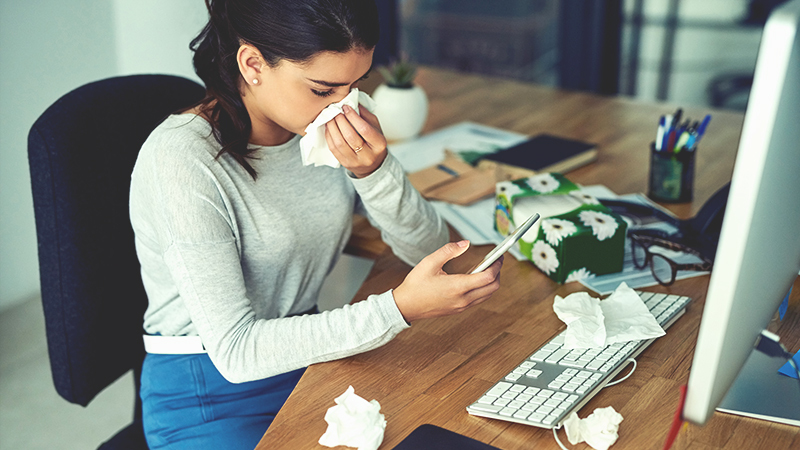 If a family member, friend or co-worker is sick, try not to share devices. Resist the urge to share photos and watch videos — we know how easy it is, but if you must, — quickly give your device a wipe down. There are many ways to prevent the flu from spreading. Keeping your tech clean is one simple step. Are you interested in learning more tips? If you are enrolled in your phone carrier’s protection and support program, you may already have unlimited access to our tech experts who can help you learn, grow and do more with your technology!